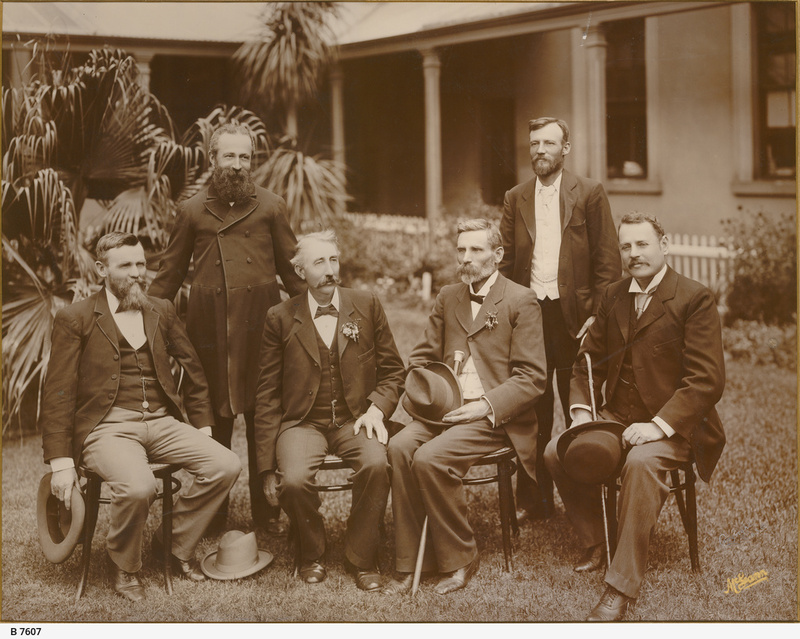 [General description] Informal group portrait of the Government Ministers of 1900, taken in a garden. [On back of photograph] 'Mr. Holder's Ministry - appointed December 8th,1899. Left to right: Lawrence O'Loughlin, Commissioner of Crown Lands; Richard Witty Foster, Commissioner of Public Works; John Greeley Jenkins, Chief Secretary; Frederick William Holder, Treasurer and Minister of Industry; Egerton Lee Batchelor, Minister of Education and Agriculture and John Hannah Gordon, Attorney General / 1900 / Presented by Mrs. M.A. Foster'.